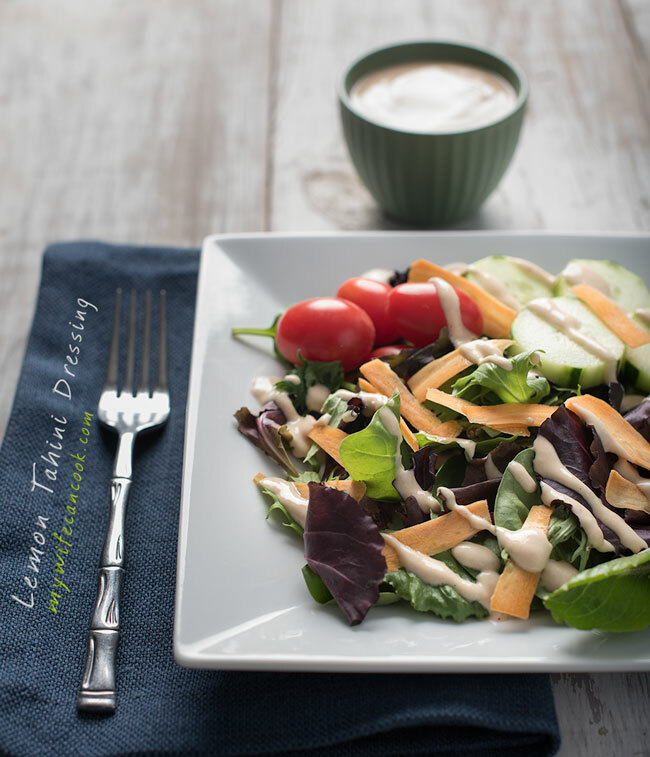 Lemon Tahini Dressing -- What is Tahini and why you'll love it! Lemon Tahini Dressing (along with this fish taco sauce) is one of our all-time favorite condiments, but a lot of people don’t even know what it is. Well, if you have ever wondered “What is tahini?” or how to make tahini then you’ve come to the right place! 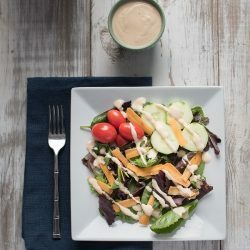 Tahini is a flavor we have fallen in love with and today we will share with you what is tahini, how to make tahini, and a great tahini recipe — our lemon tahini dressing. Excellent question. 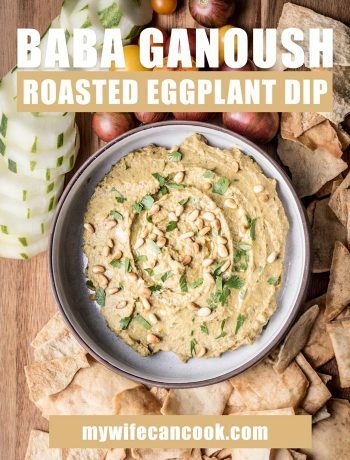 I had the same question when I first began experimenting with homemade hummus and kept running across tahini as a main ingredient in other hummus recipes I tried out. And so my tahini journey began there and my love for it as an ingredient and flavor has grown ever since. Tahini is a paste made from sesame seeds and is found in Middle Eastern or Mediterranean foods. In addition to hummus, tahini is also a main ingredient in baba ghanoush and halva. For those feeling adventurous, this post tells you how to make tahini at home. I came across the aforementioned post while learning about tahini and it reminded me that I had made a mental note (and then forgotten the mental note) to try making our own version of lemon tahini dressing. During our travels this summer, I found lemon tahini dressing in several different restaurants. MY TASTEBUDS WERE BLOWN AWAY! It is so good. 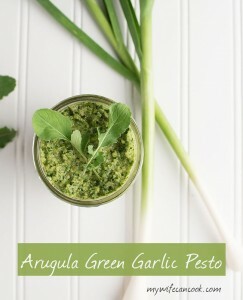 Creamy and flavorful, but much healthier than your typical cream-based dressings; don’t get me wrong, we love ranch dressing and blue cheese dressing, especially if they are homemade, but like anything else, sometimes you need options and sometimes you have to feed someone with dietary restrictions. Fortunately, the lemon tahini dressing recipe we share below is gluten-free and vegan (and delicious! 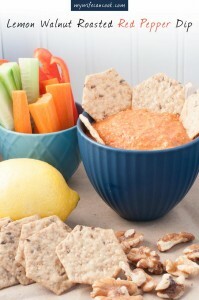 ), so it’s a perfect dressing to have on hand if you are hosting anyone following a gluten-free and/or vegan diet. At one of the restaurants where I had lemon tahini dressing it was served over a house salad and at the other it was over a chicken shwarma rice bowl (which was amazing and we are testing out a recipe to post soon!). I’ve also had it served with falafels and steamed veggies with rice. So you’ve got plenty of ways to try it and I’m sure once you do you’ll be in search of even more new ways to enjoy it. If you need more convincing check out this great post from Dr. Axe on the health benefits of tahini. So by now you’re probably ready to make tahini part of your diet, right? Let’s do it! 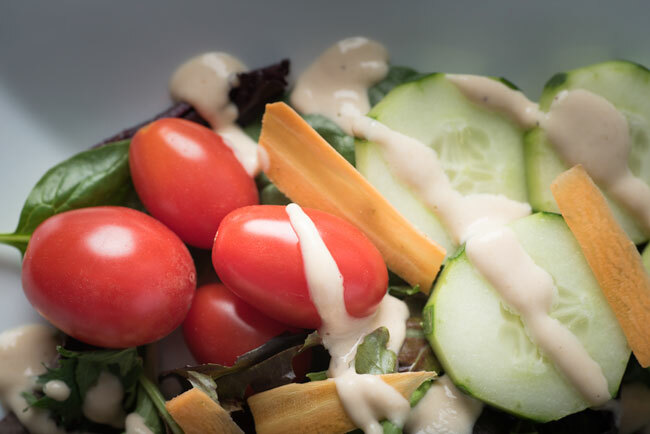 Our lemon tahini dressing recipe comes together very easily. Just throw the ingredients in the blender and blend until creamy. Add some extra water if you like it thinner. 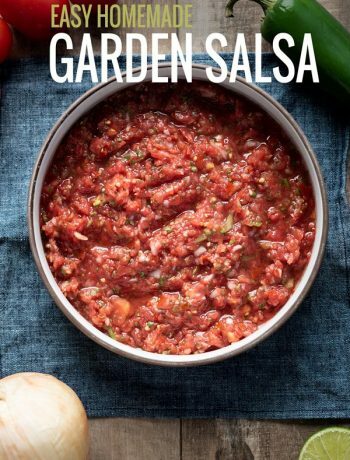 The dressing should last in the fridge for a couple weeks so that makes it a great family-friendly item. 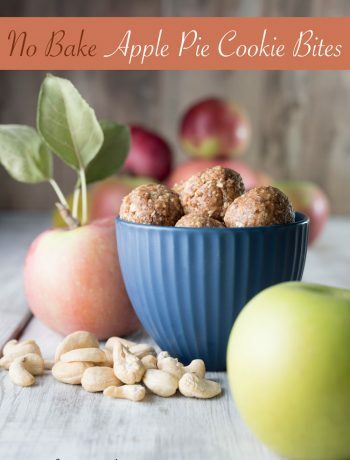 We love items that we can enjoy over a span of time without the fear of them getting lost in the shuffle of busy family meal prep and quickly going to waste. We’re certainly FAR from perfect on this front, but we do try to waste as little as possible. Once you have an open jar of tahini, there’s always a danger that it will sit in the back of the fridge forgotten. But you don’t want to let such a marvelous ingredient go to waste! There are a ton of original uses for tahini out there — tahini recipes from dressing and dips to soups and smoothies and even tahini inspired desserts! We still have half a jar, so we will have to try some new tahini recipes soon. The hard part is figuring out which one to try first! But, this is a good problem to have. 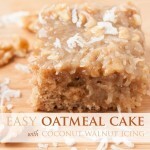 Mix until creamy (add extra water if you like it thinner). 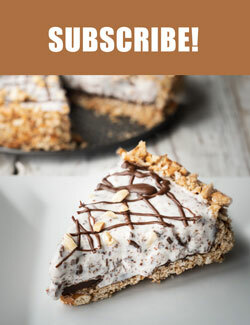 Looks so nutritiously healthy! I’m gonna try making this lemon tahini dressing on weekends.